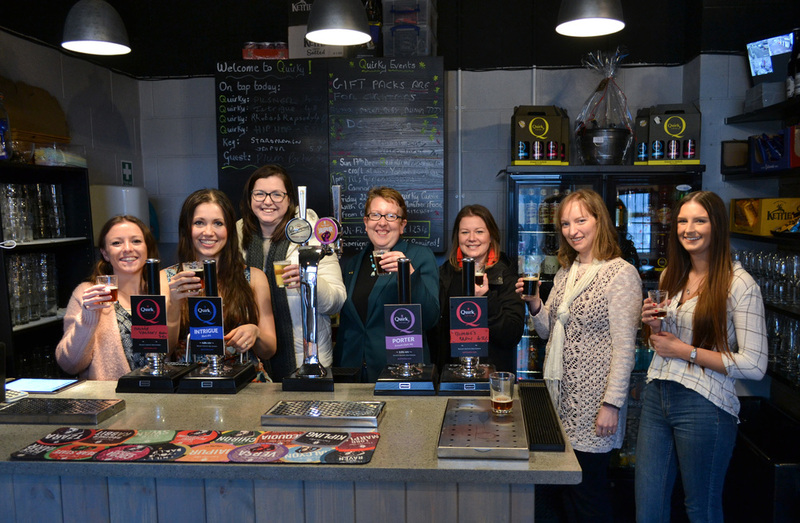 Six ladies, three breweries and a six-hour window to taste test beers across Yorkshire. Sounds like a darn terrible way to spend a Tuesday, right? Organised by Sophie from Mama Mei as the first meetup for the Bloggers Up North, and lead by our brew host, who knows the most, Mark from Brewtown Brewery Tours, we were ready to seize the day. The day itinerary was looking good. Visit microbrewery number one, meet the brewers, taste the beer. 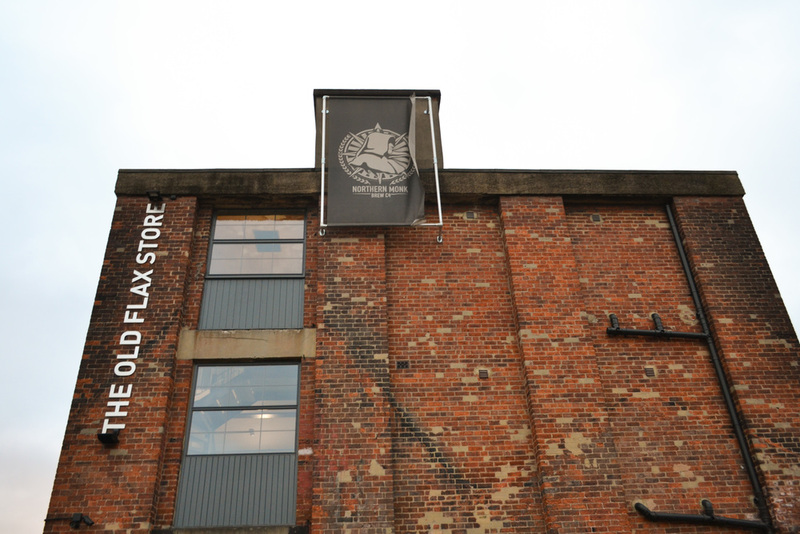 Visit the second, meet the brew gods and drink beer. 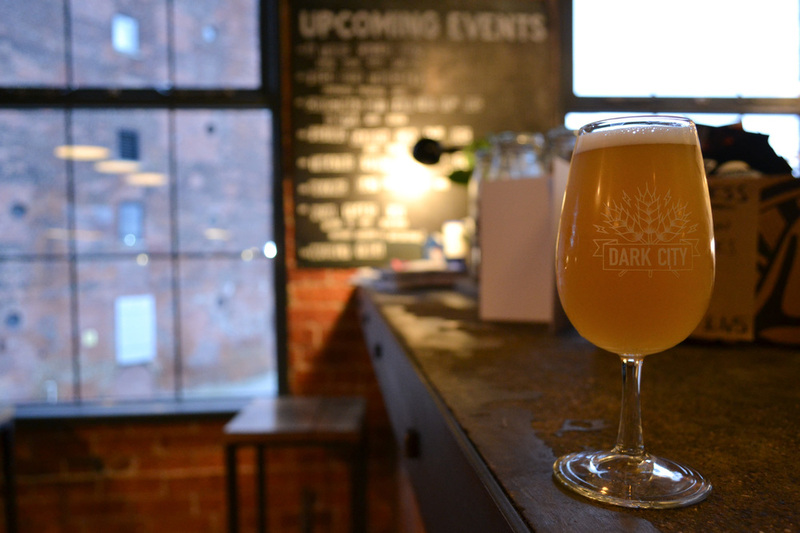 Visit the third, check out their brewery and drink even more beer. Our meeting point was at the Queens Hotel, at 11AM, which gave us the perfect opportunity to stop off at LS6 for a spot of breakfast first. For the first rule of a beer tour is make sure you’re rather well fed beforehand. 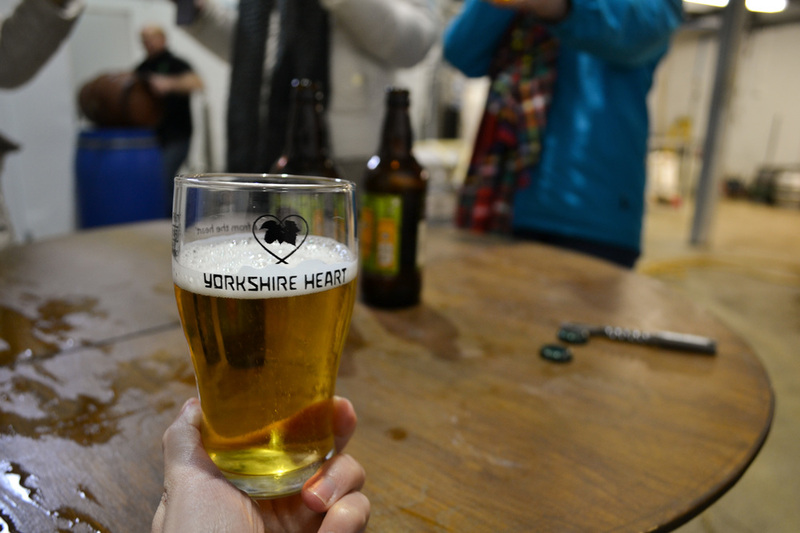 The booze-cruise-mobile was ready and waiting, and once the full crew assembled, we journeyed across to Nun Monkton in North Yorkshire to visit Yorkshire Heart Wines & Beers. Greeted by Tim, the brewery manager, we were given a full show and tell of his brewery, taste testing a handful of their special range brews. From the Rhu Bar Beer (in honour of the Yorkshire rhubarb triangle), to Off The Wheaten Path (a gluten free beer), to Get Pithed (golden ale with citrus orange) to one of their festive tipples Santa’s Little Belcha. 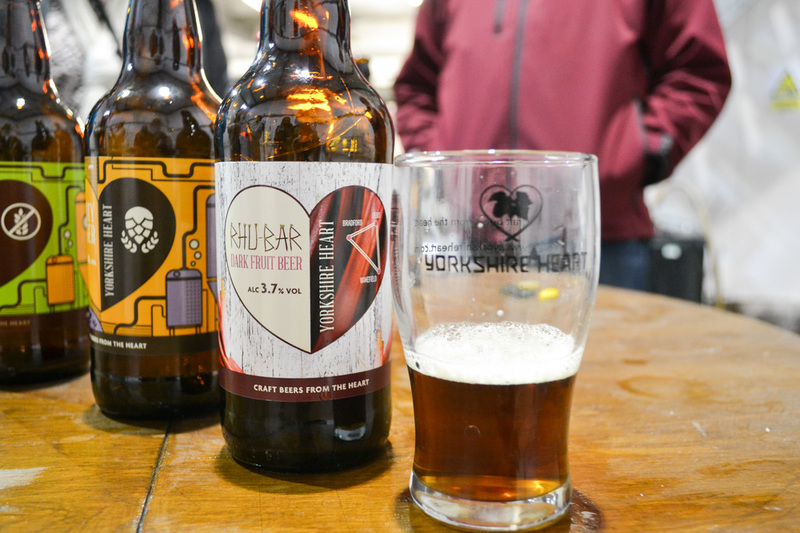 Yorkshire Heart has seven core beers also producing at least two different specials every month. 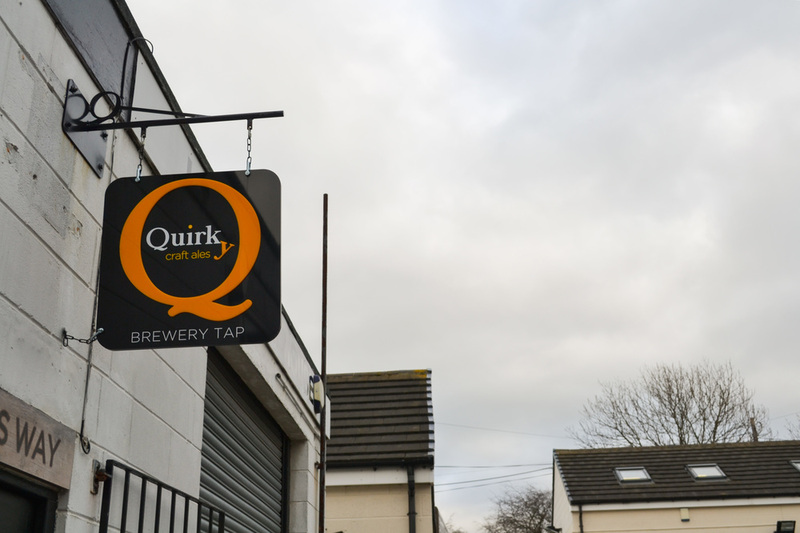 Stop number two landed us at Quirky Ales in Garforth, a micro-brewery that opened in 2015. 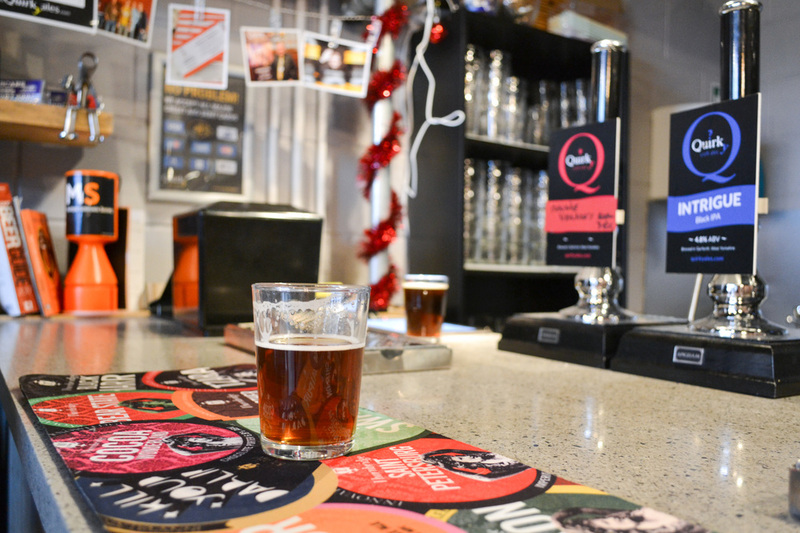 Having previously homebrewed for enjoyment, Quirky is small and intimate brewery with a bottle shop and tap room. Two of my favourites here was the limited edition of Annie-versary (also rhubarb inspired) and the light and easily drunk Bumble’s Brew which was created after having bumped into David Lloyd, Test match cricket commentator, in Leeds. Although dark beers are not my usual, the Quirky Porter was dark and creamy, with a whole lotta hops for a fruity delicious change. 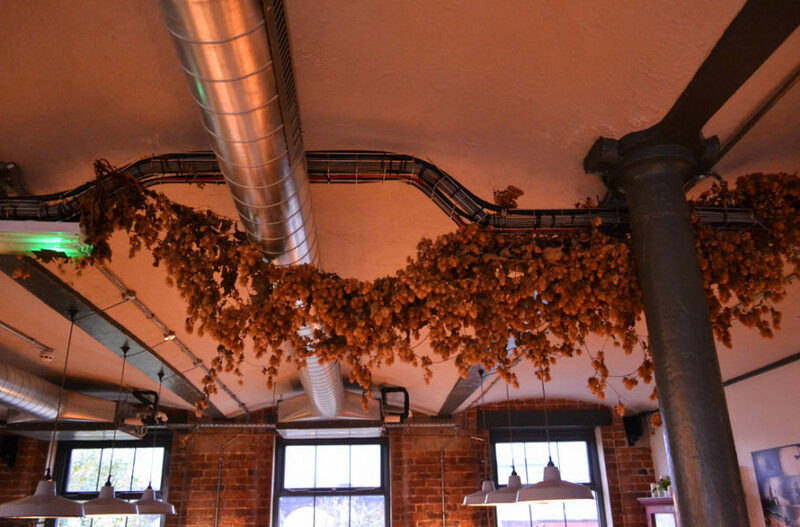 Hops is life. 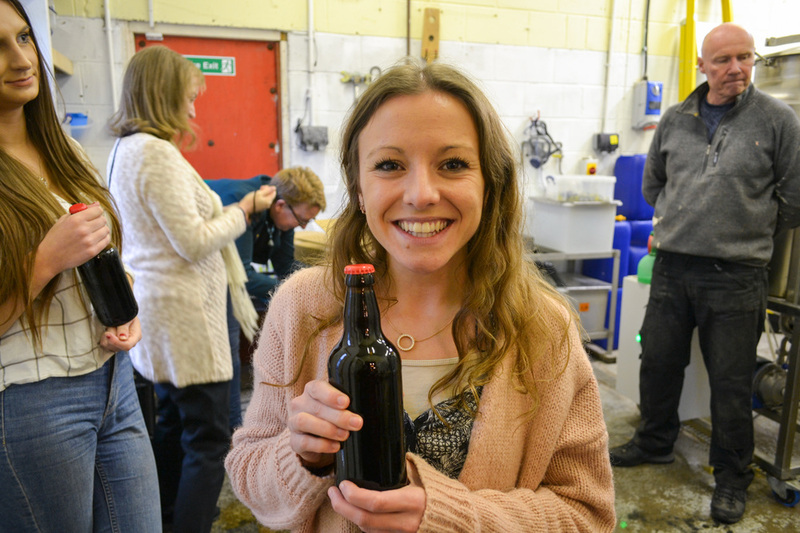 As we moved on to learn about the brewing system, we tapped a cask, bottled our own beer and capped it. 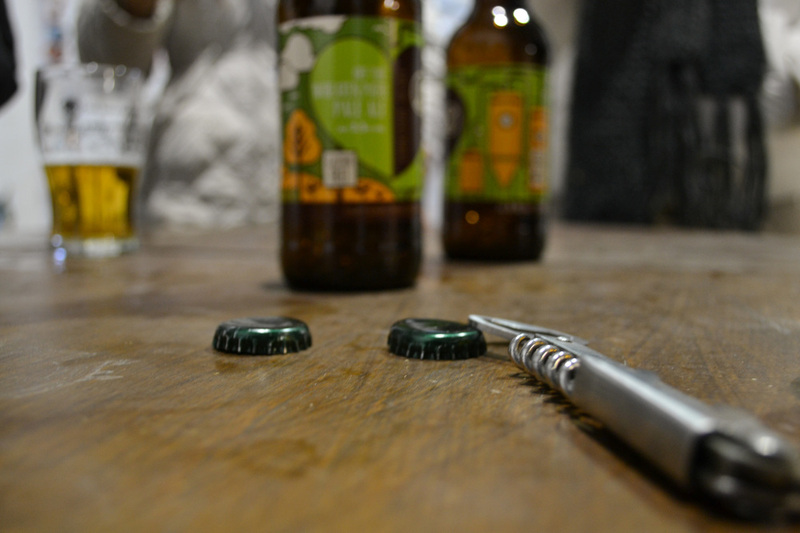 After a few mishaps of spilling here and there, we all held our own bottled beer with pride. 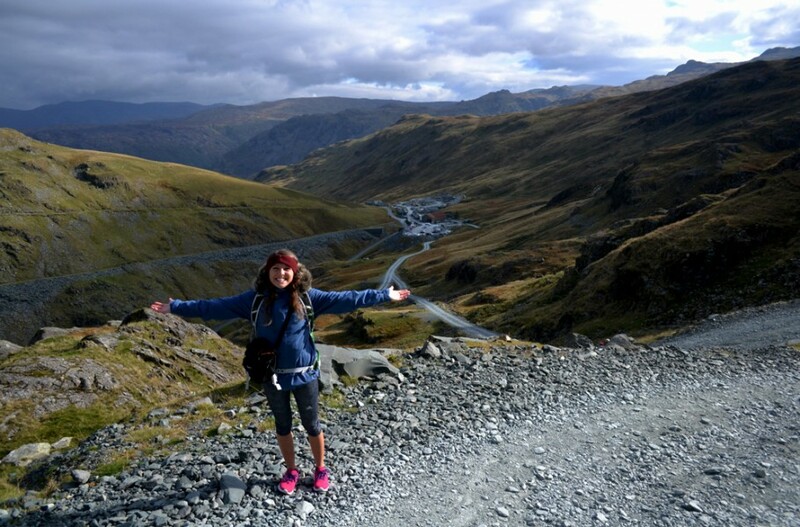 Certainly no stranger to Northern Monk, our third pit stop is one of my favourite places to visit. 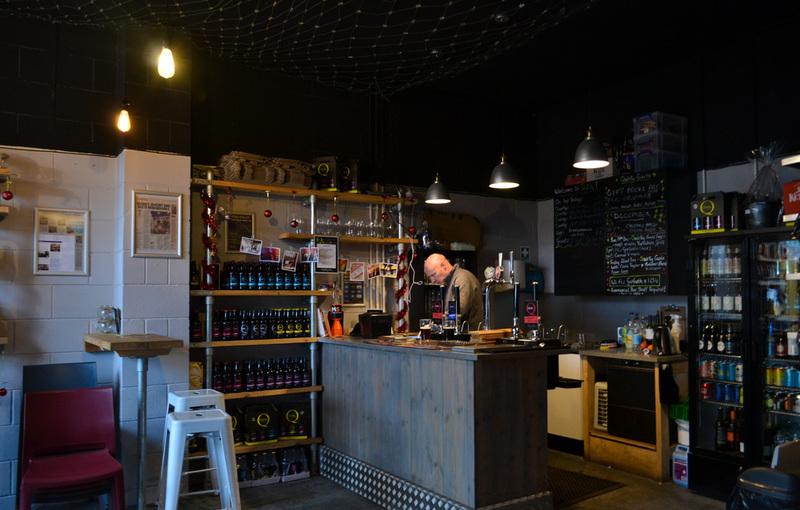 If you haven’t been, it’s somewhat of Willy Wonka emporium for beer lovers. 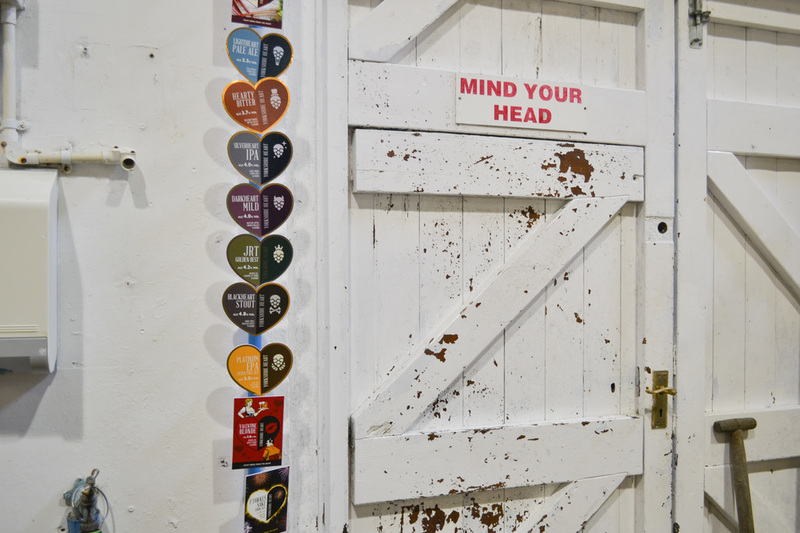 Think traditional, proper ales right through to wonderfully wacky to cultural eye-openers. Here is where for the first time I had a Neapolitan ice-cream flavoured beer, with a raspberry milkshake ale being next on the list to try. During this visit, I was wowed again. The mango lassi IPA was the best. EVER. An ale full of real mangoes, fruity and oh so moreish. 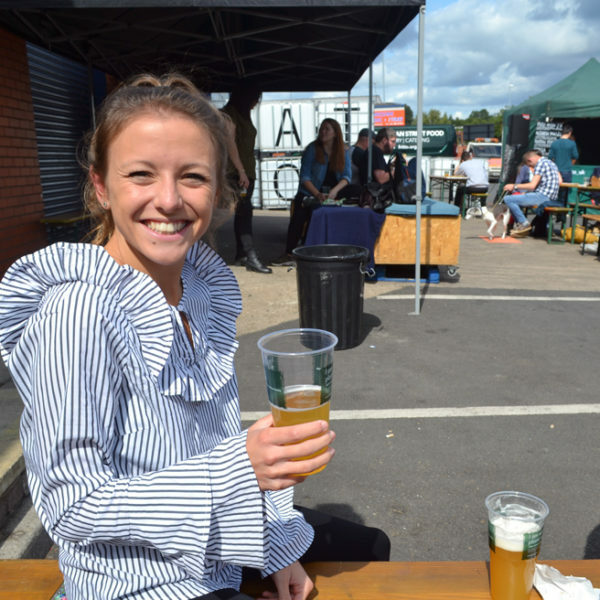 Supped up was also the Bombay Dazzler, a beer that has been refined with Leeds based restaurants Bundobust, to pair the perfect drink to Indian street food. Expect tastes of ginger, cardamom and coriander, perfect to match any curry. 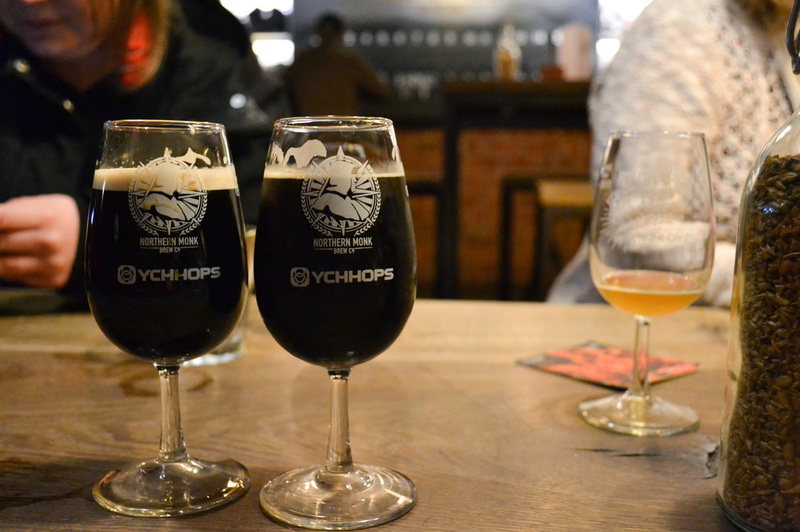 As the farewell duo of drinks, we tried the Northern Star Porter, both as cask and keg. Carbonated vs. conditioned, our taste buds were put to the test. 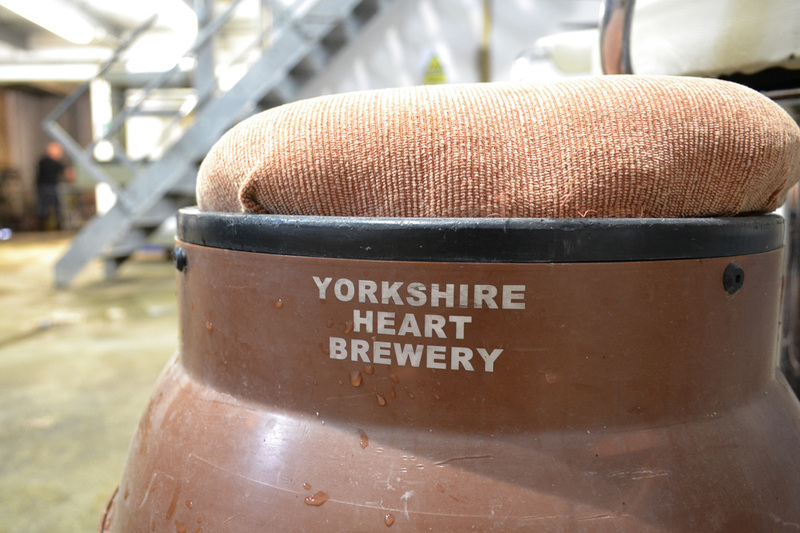 The Northern Star is a full-bodied ale with hints of coffee and chocolate, making sense to be enjoyed pulled from the cask. 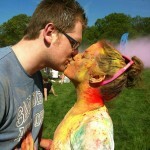 Did it taste good? Oh yeah. What surprised me though was how such a dark porter would taste equally as delicious from the keg. The gassiness made it taste lighter and fruitier. Having tried both, I thought both were delightful, so there’s only one thing a lady can do, and that’s to have both. And quite possibly a few extras from everyone else too. 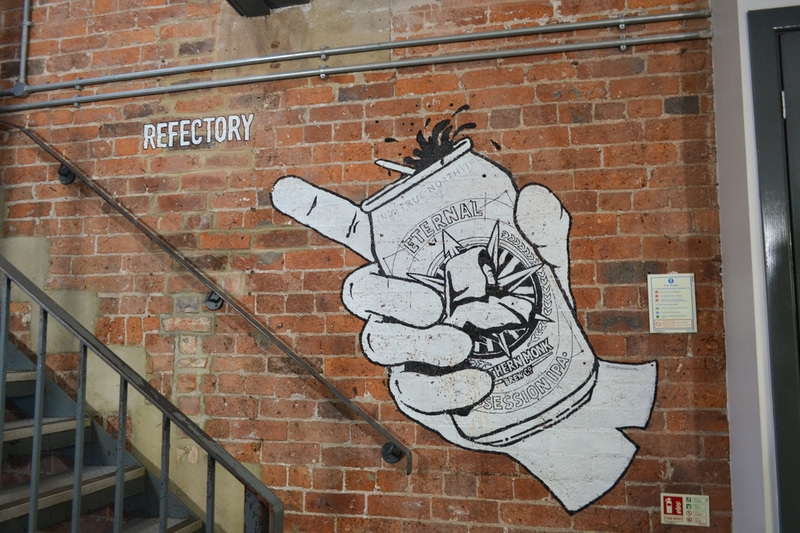 So there we have it, one rather boozy, insightful and entertainingly fun day out touring some of Yorkshire’s best-kept beer secrets. Even though our eagerness to taste beers surpassed our knowledge of beer, we were warmly welcomed and put at ease throughout the whole tour. We laughed, we drank and came home feeling rather good ready to hop(s) into bed. 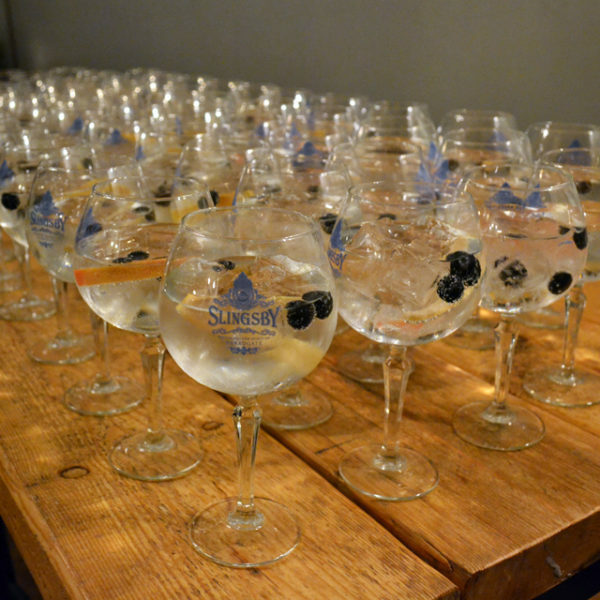 Upcoming plans: visit the two new watering holes, Quirky and Heart, and check back into Northern Monk. What about you, do you have a favourite bar?